Hello! Thanks for stopping by my blog on your way through the hop! The topic I would love to discuss today is a relatively simple one: Haiku poetry. I just introduced my 3rd graders to haikus last week-- and they seemed to enjoy it! In fact, I caught one of them creating more haikus after finishing classwork (which always makes my heart glad). 1. Brainstorm topics and words that relate to spring. Have students fill out a graphic organizer for their 5 senses-- I have also included a graphic organizer in my haiku download (at the end of this post). 2. Have students pick 1 topic and write down a few sentences about it (this will help them come up with better haiku sentences and phrases). 3. 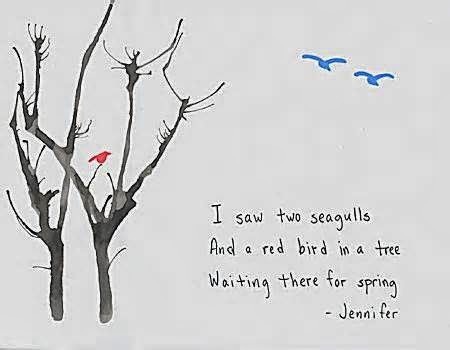 Introduce the idea of haiku (read a few, show a few on your Smart Board, etc.) Explain the syllables and practice counting them. 4. Pick one topic about spring and work as a class to write a haiku. 5. Let students write their own springtime haikus. I let mine do it on the back of their planning sheets. 6. After the kids finished their writing, I went around and checked the number of syllables and spellings. Then I gave them a copy of the final draft paper (also in my download). 7. I stapled those babies up on my spring themed bulletin board. A fun and easy decoration! 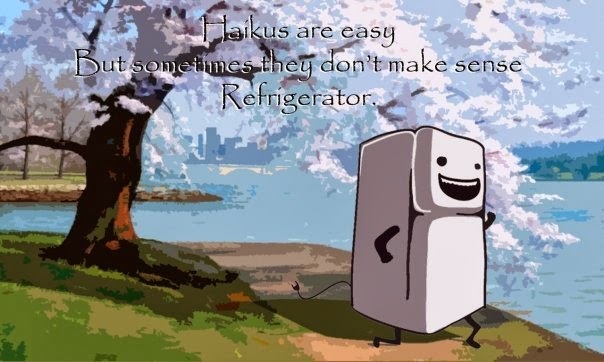 Click HERE to download your FREE haiku planning sheet and final draft templates. Thanks for stopping by and downloading! Make sure you click the button below to hop over to the next blog!